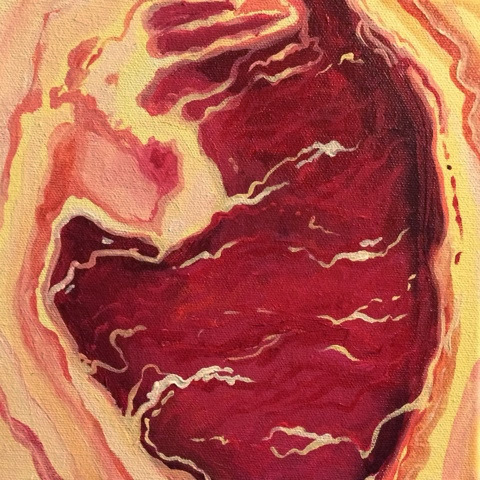 Abstract meat painting on gallery wrapped canvas. Image surrounds the sides and makes this steak look completely 3D. This is the real raw art.